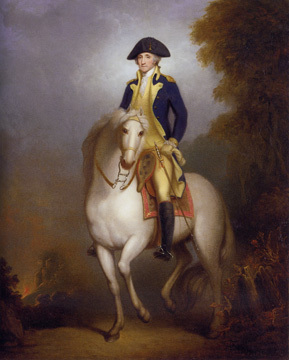 In honor of Washington’s Birthday / Presidents Day, I give you highlights of the connections between the Father of Our Country and our former poetic namesake and guardian spirit, Columbia. With their patriotic pedigrees, these two names mingle geographically, and as cultural ideals, too. In 1775, with Columbia already a popular name for the American colonies, a new secular goddess with that name was created in a poem written to George Washington. In 1787, The Columbia Rediviva, the first American ship to circumnavigate the globe, was accompanied by a tender ship called the Lady Washington. The Columbia River, named after the aforementioned ship, flows through and partly defines Washington State. Washington State was almost named Columbia. The City of Washington and the District of Columbia, while historically distinct, now share the same borders. America’s former national anthem, “Hail, Columbia”, was created when a poem was penned for the tune “The President’s March”, originally written for Washington’s inauguration. 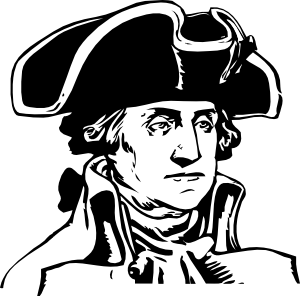 George Washington University’s original name was the Columbian College, and then the Columbian University. Alas, confusion between them and Columbia in New York City necessitated a name change. Columbia, South Carolina, while the first place in the world to be formally named Columbia, also considered the names City of Refuge, and Washington. George Washington has been called “Columbia’s favorite son”, witnessed by this greeting card here.